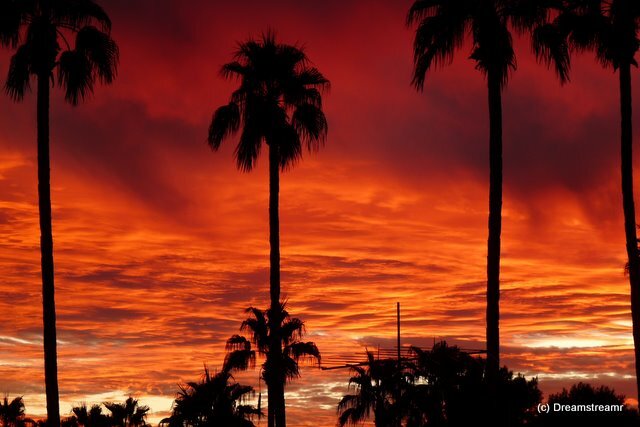 This entry was posted in Full-timing and tagged Mesa AZ, Paradise found, pool complex, tennis complex, tennis practice. Bookmark the permalink. I don’t yet have pictures of the tennis or pools complex, will try to find a good couple of shots to share later. But some things are much easier to describe than photograph. Or, see the pro pictures at http://www.towerpointresort.com/features.php. Don’t try to find Debbie and me in the pictures, and don’t believe the temperature reading at the bottom of their page — it is low by 20F this morning. Wow! The activity will help you live much longer!! The picture of sunrise is spectacular! Can’t imagine what it must have looked like in person. Have fun. I’m having fun reading your exploits! We hope to go back to Okeechobee this winter. Perhaps we’ll see you there??? Yes, we plan to arrive at AO by December 28, and are really looking fwd to a nice three months there. Look us up when you arrive, we’ll be in the same spot and have a pitcher of drinks ready 4 U. ( http://www.organstoppizza.com/) while in Mesa, it showcases and amazing theater organ and the pizza is good, and ice cream.